Posted September 27, 2013 by Staff Writer & filed under Arts & Entertainment, Comedy. 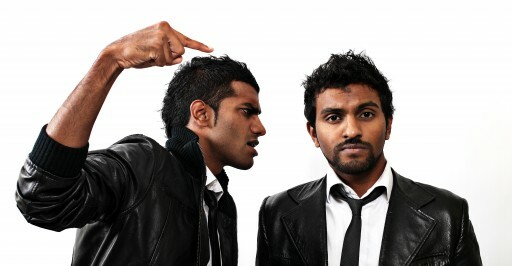 No one else in Australia is doing comedy quite like Nazeem Hussain and Aamer Rahman. While some of their contemporaries make a living cracking jokes about booze and one-night-stands, the duo behind Fear of a Brown Planet stick to serious topics like politics, immigration and racism. “You have to get the balance right,” Hussain says. Balance is integral to their routine. Hussain is energetic, using an assortment of accents and playful movements whilst Rahman proves black comedy delivered when standing still can be just as effective. Audiences are certainly laughing along with the funny pair. Well, most audiences. “You can’t expect everyone to like it,” Hussain says. For some it may be hard to believe that a few years go neither Rahman nor Hussain had performed any comedy at all. Now their unique brand of humour has taken off, culminating in a string of sold-out shows across Australia and the UK.